The Place to Meet! The Place to Eat! The Atrium Cafe & Lounge features an ecclectic menu as unique as our hotel and You. A very destinctive menu created by our Executive Chef, Michael King. A healthy style cuisine influenced by seasonal flavors and fresh ingredients with flavors from around the world. 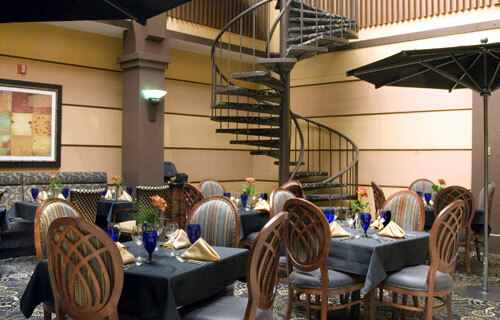 The Atrium Cafe & Lounge has a decor and atmosphere reminiscent of an Italian Garden Cafe and exterior piazza. A soothing enviroment with italian tiles, custom carpeting, uniquely designed seating. You’ll feel relaxed as if you were dining in an outdoor garden.